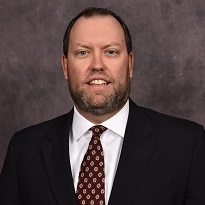 A native of Winter Springs, Florida, Brent Nelson began his career with the Greater Orlando Sports Commission in 1995 after graduating from Florida State University with a B.A. in Marketing. During his spare time, Nelson serves on the National Association of Sports Commissions (NASC) Board of Directors and Point East Condominium Association Board. He also volunteered on the Connect Sports Marketplace Advisory Board in 2014 and 2015 and was a member of the Tourism Orlando Leadership Program Class of 2012. Nelson's charitable contributions within the Greater Orlando community include his past involvement with New Hope for Kids and the Cystic Fibrosis Foundation.